Most PPC visitor-to-contact conversion rates are less than 2%; this compares to the top 25% of PPC landing pages converting at an impressive rate of 5.31%. What could be the difference between these companies? The answer is twofold – they know what makes an effective landing page, and they’ve got their testing spot on too. Let’s dive into the details so you can do the same. Landing pages – what’s the point? Before we get to the nitty gritty of dos, don’t and hacks of landing pages with kickass conversion rates, let’s begin by exploring some potential objectives of landing pages. You landing page must have a clear objective, and this will influence the ways in which you shape each element. Clearly define this in your mind before moving onto the next section. Could a random person look at your landing page for 5 seconds then tell you what the page is trying to achieve? 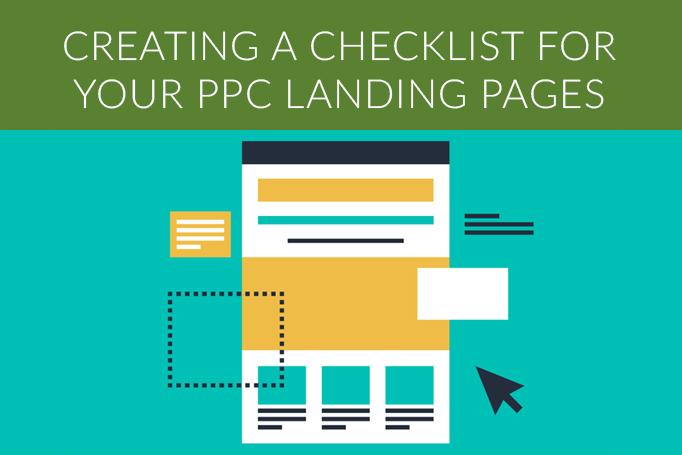 Does the landing page headline support the message of your ads? Does your headline immediately explain what the page is about? If you’re selling a product, does your landing page have either an image or explainer video demonstrating the product in use? Does your landing page clearly drive home what it is that makes your product unique? Have you removed your main menu? (Not doing so can lead your visitors onwards to somewhere that they really didn’t want to be – despite their clicking onwards in the first place). Do you break down the main benefits of your offering into easy-to-digest bullet points? Does the entire landing page – from copy, to media to design elements, focus on the single action? Are you using a separate landing page for each campaign? (If not, you should be). Is your landing page focused on a single action – gaining the visitor’s email address, contact details, getting them to download a guide or purchasing an item there and then? Have you ensured that your landing page is getting a Google quality score of above 7 (if you’re in the dark as to what this could mean, check out this guidance on quality scores from Google or check your score here). Is your landing page copy created in elevator –pitch form and readable within 30 seconds? (Test it out by reading out loud to someone and get their feedback). Where you use a multi-step process, are you making it clear to your visitors how long this is? (5 Steps, 30 seconds or 3 pages? – A progress bar can be helpful here). Do you have a way of gaining feedback from your customers? If not, could you undertake some user testing? If you’re using video, are you putting the visitor in control by avoiding auto-play? And does the video feature a call to action at the end? If you’ve invested in multiple marketing mediums (such as PPC, email and social) do you have separate pages for each? If not, you’re missing out on discovering which medium is the most effective. If you’re asking people to sign up for a webinar, are you offering confidence by showcasing social proof? (Such as past attendee testimonials, or how many places are already filled?). If you have a form on your landing page, does it stand out and are you using design elements to lead the eye to it? Do you have a single call to action? (This may be getting a bit repetitive, but SO many businesses get it wrong – you need to focus on one objective and one CTA alone). If you’ve decided to use exit popup windows, are you offering something of value and of relevance? (You should also avoid questionable tactics, such as a button that refuses the offer that says “Nah, I’m good. I like having no customers”). Are you creating a sense of urgency? (A time limited offer can be the difference between making the sale, and your visitor doing a Houdini never to return). If the focus of your page is gaining the visitor’s details, do you provide a thank you page that presents further instructions, such as a request to share, follow or download a bonus resource? Are you using compelling copy for your buttons? (“Submit now” or “Send” simply won’t cut it). Have you been brutally brief? Cut down your copy by half, and then half again for a page that’s as succinct as possible. (If the thought of this freaks you out, try A/B testing the untouched page, and compare the results against the slim line version). And finally… are you using a landing page analytics program? (At the very least you should have Google Analytics set up, however it’s more than worth exploring the more advanced, premium platforms such as Unbounce, crazyegg or ion interactive). 96% of visitors will leave without converting. Depressing, right? Perhaps a little, but more importantly this stat is a reason to absolutely ensure that you invest in remarketing (for those who haven’t stumbled across remarketing yet, this is where ads are shown to those who’ve previously visited your website). While not ready to move onto purchasing today – tomorrow, next week or next month they may be. In the course of your PPC education, you’ve likely had it drilled into you that it’s all about the conversion rates. But who, exactly, are you converting? Are you gaining contact messages from low value clients who, if they do go on to purchase, only commit to your smallest packages? The effectiveness of your landing pages are only as valuable as the leads they feed your business – and the need for tracking and analysing the clients you do win is key to PPC that grows your business, not merely sustains it. We make no bones about the fact that landing pages are damn hard work – requiring careful design, copy and construction, and even then, the hard work isn’t over. That all said, for those that persevere, test, tweak and re-test, there lies conversion rates and leads that only ever improve – doing justice to your PPC budget tenfold.